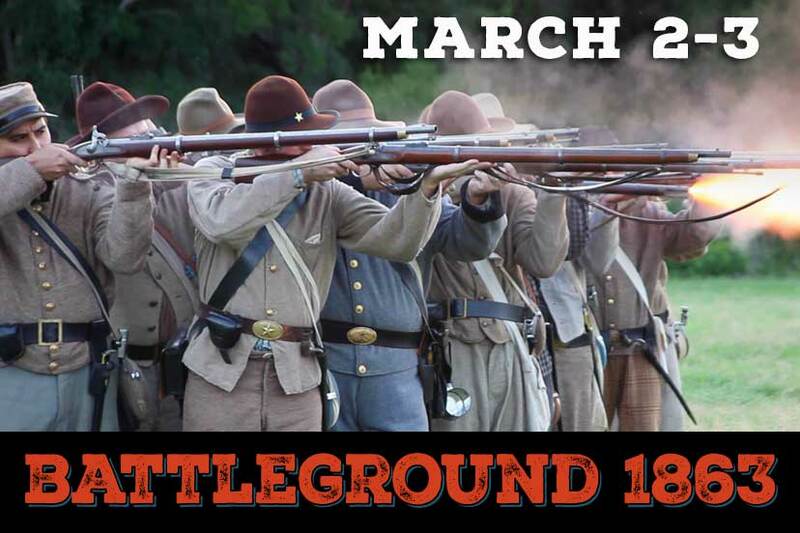 The Texas Military Forces Museum present a living history event of the Civil War -Battleground 1863- at Camp Mabry on March 2-3. 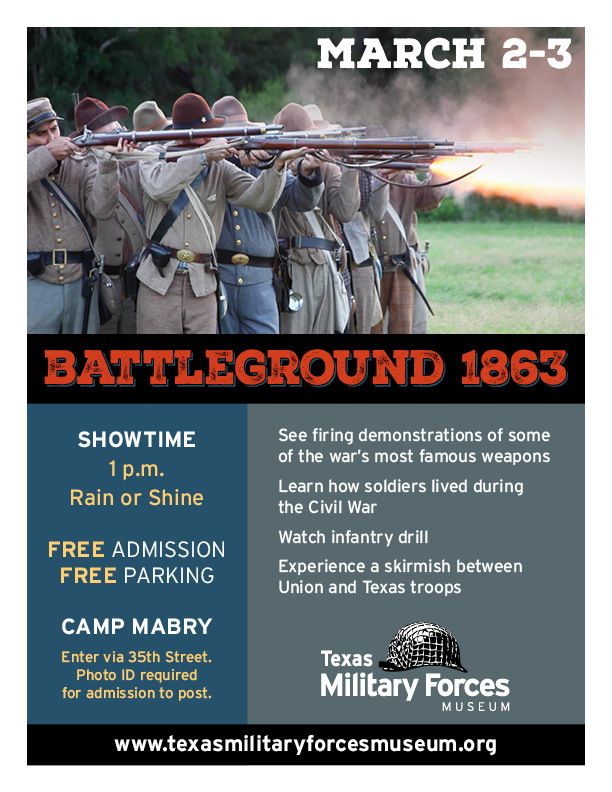 Visitors will get a chance to get an up close and personal look at how soldiers on both sides lived during the war, as well as see firing demonstrations of some of the Civil War’s most famous weapons. In addition the museum’s living history volunteers will explain the uniforms and equipment used by the troops, why they carried flags into battle and the role of drums and bugles in the war. The intricate maneuvers of infantry formations on the battlefield will also be demonstrated.